Captain Nicholas has been active in and on the Daytona Beach waterfront since 1993 and can provide assistance by way of information on most of the outdoor activities. Please feel free to contact him with any questions at any of the sources listed below. CHARTER FISHING, SCUBA DIVING, BOAT RENTAL, JET SKI RENTAL, PARASAILING AND BEACH TOURS. Located just minutes from I-95 and close to year round warm weather, white sand beaches, shopping and golf. You will have easy access to Disney World, Universal Studios, Sea World, Historic St Augustine and Kennedy Space center, Epcot, Animal Kingdom, Disney MGM and Daytona International Speedway. Rock Boss Fishing Charters is conveniently located in Central Florida between Orlando (the Disney area) and Tampa Bay. We offer inshore flats fishing on the West Coast. With tournament wins on both the West and East Coasts we know how to get them. Our great location and our ability to travel allow us to fish all year long. You will enjoy fishing from my custom rigged 24' Carolina Skiff. It has an open hull design, moveable fishing chairs, and comfortably fishes four anglers. Captain Terry's enthusiasm and desire to share his love for fishing will help to make your day one to remember. He is a life long Florida fishermen and has over 20 years of fishing the waters of Tampa Bay, Boca Grande and Charlotte Harbor. A 19 foot Scout 192 Sportfish, powered by a 150hp Yamaha. The 192 features more deck space than most boats in its class, giving you more effective room to maneuver. Non-skid surfaces protect you when you have more on your mind (and on your line!) than being cautious. Flush mount deck hinges and cleats keep you free to move around safely, and without annoying, time-consuming line snags. Grouper, Snapper, Amberjack and Cobia or trolling for Tuna, Wahoo, Dolphin, Kingfish, Barracuda! Backwaters, bays & flats : Tarpon, Snook, Trout, Redfish & Pompano! Spin-plug-flyfishing and livebait! 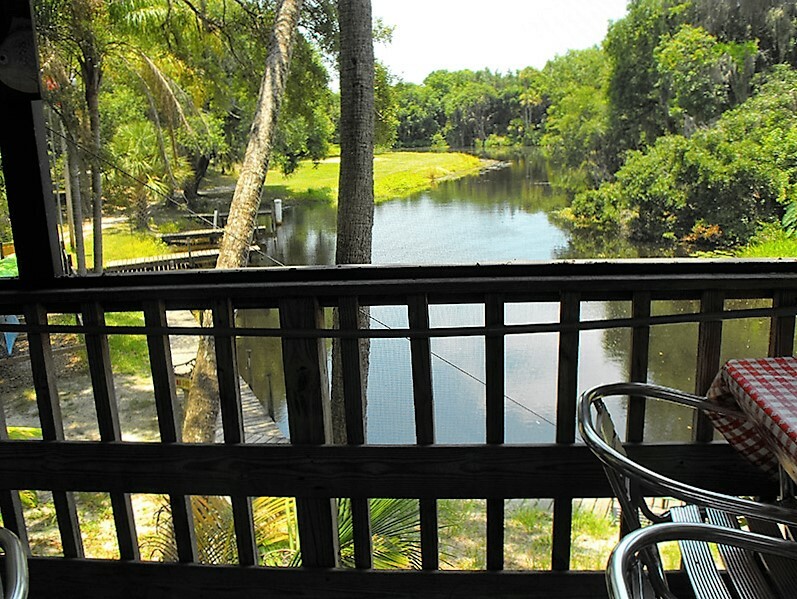 Nestled between Naples and Ft. Myers Beach by the Imperial River, with river access for kayaking and canoeing! 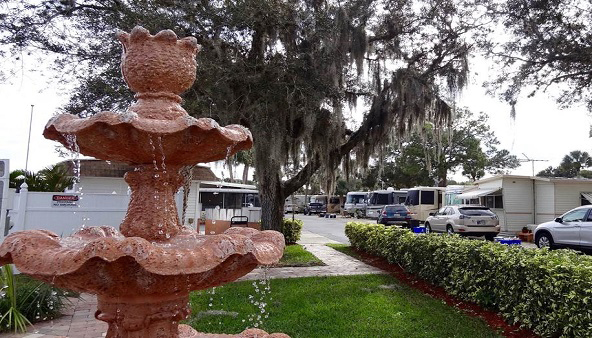 We are a 55+ resident owned Mobile Home Park and RV Resort in a quiet, secluded location just one mile from I-75 and within minutes of pristine beaches, shopping, golf courses, restaurants, fishing, and spring training baseball! Pioneer Creek offers its guests numerous activities and amenities for an active retirement. 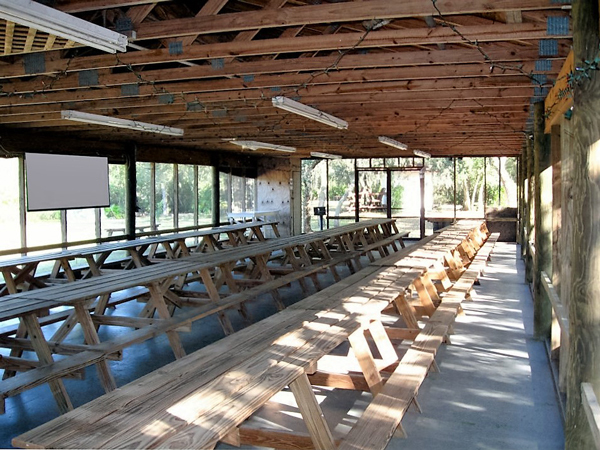 The spacious clubhouse is the scene of many planned activities from cards to dancing. 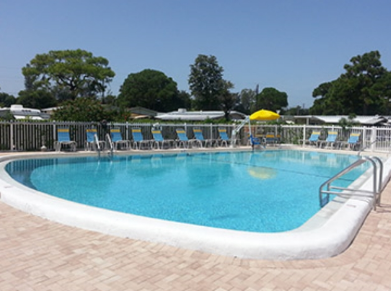 The Florida sun brings our guests out-of-doors to enjoy horseshoes, shuffleboard, walking or riding bikes. There's also a heated swimming pool, billiards, and a wood-working shop to enjoy. And located a short drive away are numerous golf courses. 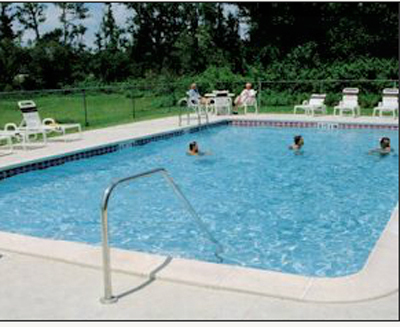 Arbor Terrace is a charming RV resort that offers a relaxed setting with exceptional convenience. 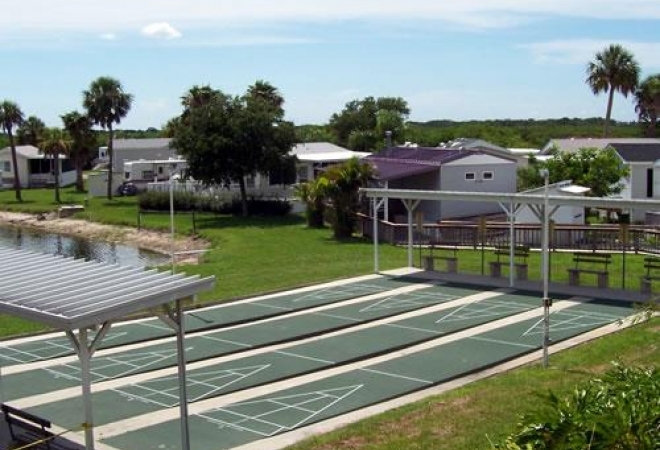 Enjoy all the amenities and activities of this tropical RV resort including a party pavilion, game room, heated pool, shuffleboard courts and planned activities. It's also just minutes away from Siesta Key, Longboat Key, Anna Maria Island, championship golf, historical sites, shopping and fine dining, major league baseball spring training, dolphin watching and dinner cruises, state parks and the best sunsets on the West Coast of Florida. At Horseshoe Cove, our 475 grassy sites feature full-hookups, concrete pads and private picnic tables. Our grounds feature four laundry rooms, three bathhouses and a dog walk for pet-owners. Rally goers especially appreciate our expansive recreation center which features a kitchen, library, billiards and darts, a sewing room and a card room. This is Old Florida at its best! Leave the hustle and bustle of your everyday life behind when you stay at our beautiful waterfront campground. Citrus trees and old, live oak canopies cover many of the 104 extra-large RV campsites. Whether you stay in one of our quaint cabins or if you bring your own RV or travel trailer, you can kick back and relax in this peaceful environment.